Sixteen Samurai is a simple, but fast-paced game of honour and glory. In this game of cards and dice, players face-off against each other on the battlefield. Each battle consists of 16 samurai with various characteristics of power, speed, armor and karma. Each victory is a mix of a Samurai's characteristics and chance. 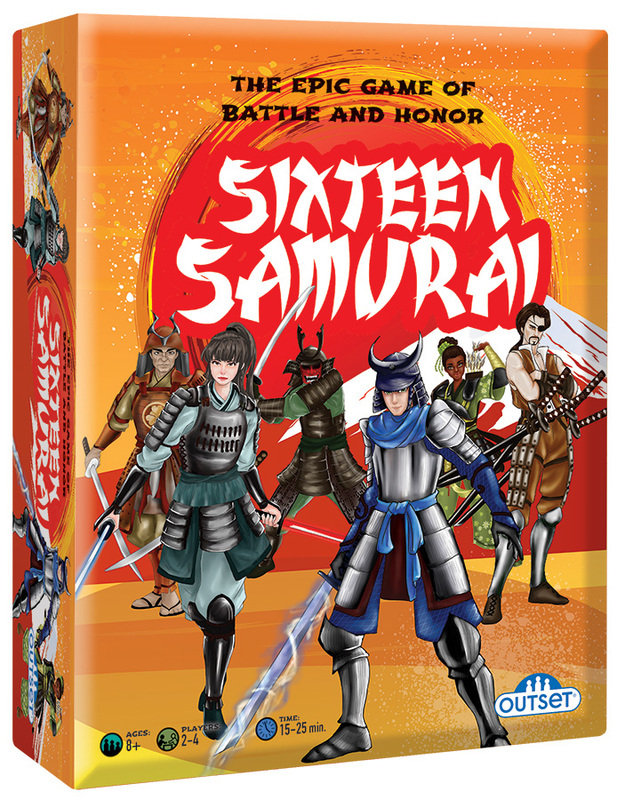 With a box full of 70 Samurai, and special action cards for an added challenge, Sixteen Samurai is a game of glory with high energy fun for the whole family. Case Pack 6 Width 7"